When downsizing your life every home expense has to be looked at in order to save money.The cost of insurance policies can eat into your household budget quite considerably so it is worth taking a look at what policies you have and where you can be saving money. If you own your property do you pay out for mortgage protection every month? You would be surprised at how many people have come to the end of their mortgage payment period but still continue to pay out for protection when they do longer need to. By combining contents insurance with the policies that cover the bricks and mortar side of the home you could make a substantial saving on your yearly outgoings. As the yearly renewal date of policies come around spend a little time finding quotes from other companies. No longer is it acceptable to stay with one company for life. With so many insurance companies offering special deals change yearly and get the most cover possible for as little expense. Finding the companies that have good deals is very easy, go online and compare prices – web sites are advertised on television. Look at some of that junk mail that you tend to put straight into your recycling bin, some will be from insurance companies with extra special deals, hang onto the paperwork for when it is needed. 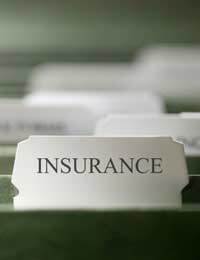 Some club memberships, unions, employers or professional groups have special arrangements with insurance companies whereby their members or employees can obtain a discount on insurance policies. Whether this is for property, car, health or personal insurance it could be worth investigating. For once being a certain age can pay dividends. Once we reach the age of fifty there are bonuses to be found with many types of policies. If you have been a careful driver all your life or have built up a good claim record with property type policies then you could be in line to get bigger discounts. There are companies that specialise in cover for the older person and it could be well worth obtaining a quote from them when researching insurance cover. Also, there are now companies that specialise in cover for women drivers, although you may feel that it is sexist why not swallow your principles and get a quote? If it means saving money get a quote from any organisation offering special deals. The cost of pet health policies can differ widely depending on the company selling the insurance policy or even the area that you live. If you have moved home check to see if your pet’s policy has moved into another price bracket. Shop around indeed where you shop could be where you find the best pet policy. Many of the main supermarket chains in the UK have competitive rates with their pet cover. If you have adequate savings consider whether you need pet cover. With older pets carrying heavy excess charges it may well be worth setting up a savings fund for your pet and putting the amount of the policy into savings. Of course you would have to be prepared to pay out of your pet is taken ill and you have not saved sufficient money. Veterinary bills can be astronomical and run into thousands of pounds. By shopping around before buying a insurance policy you can save money and enjoy your downsized life without worrying about monthly expenses.